Custom printed ripple paper cups. Ripple paper cups of 4 sizes in 6 different colors and S-line. Paper cups with standard design from Future Cups, also blank paper cups of all sizes are available. We specialize on the production of custom printed paper cups. Вы можете заказать брендированные однослойные и гофро стаканы, сахар и даже кофеварку! Company “Future cup” manufactures paper cups of 4 sizes: 4 oz, 6 oz, 8 oz, and 12 oz using European cup board paper of thickness from 170 to 275 g /m2. 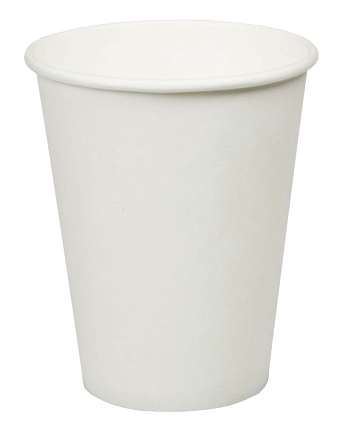 Paper cups are available with single or double side PE coating (15 PE). PE coating prevents cups from soaking. Paper cups can be both – standard printed and custom printed – depends on the client’s requirement. Separate cup sleeves for hot drinks made of ripple paper. White or brown sip lids are available. Single-use coffee stirrers made of wood (birch-tree). It’s natural, ecologically pure product which consists of natural plant fibers. Easily utilized, decomposition time in the environment – from some months up to a year. Do not soak due to PE coating. Can be single or double side PE coated. The possibility of reusing is excluded. Company’s name, product name, logo, contacts can be printed on the cup. Suitable for both – hot and cold drinks. Coffee, tea, cappuccino, water – any drinks at your choice and preference. Paper cups easily absorb the color and give unlimited possibilities for designer’s imagination. Keep your drink hot for a longer period of time. “Futur cup” is young manufacturing family enterprise which was founded in 2011. Our company’s production is ecologically pure, suitable for hot as well as cold drinks.